London Bridge used to be simply the station I commuted into for work, however during the last few years it’s started to come into its own as an area to visit. When Hotels.com asked me to visit the area for them I jumped at the chance (especially when I saw the weather forecast). The spending money for my trip was gifted by Hotels.com, but all views are my own. 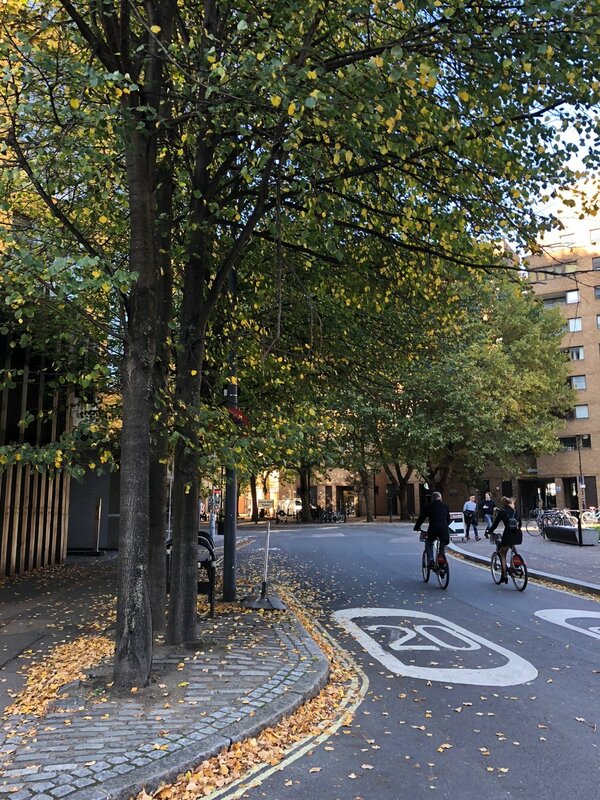 Our first stop was one of my favourite places - Bermondsey Street. 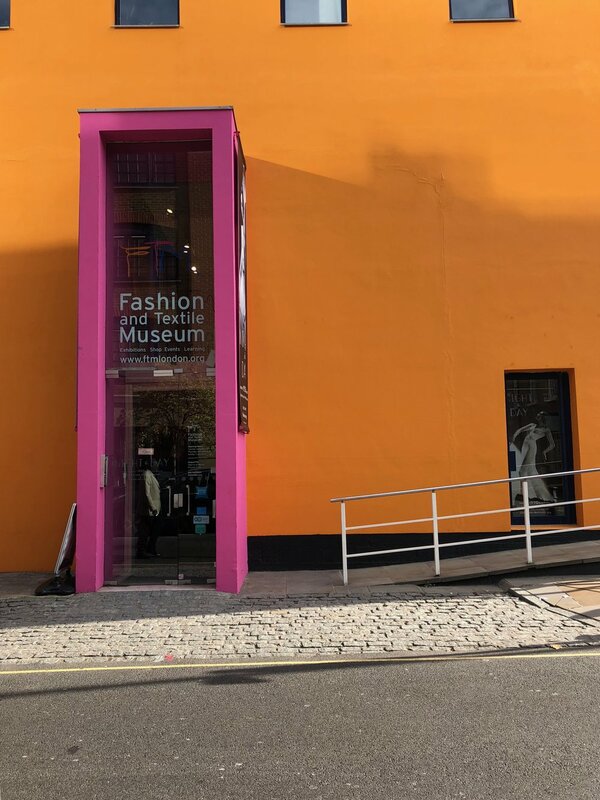 There wasn’t much to see or do down here before the Fashion & Textile Museum opened 15 years ago but nowadays it seems to be even more interesting each time I visit. We started out at the Fashion & Textile Museum itself. The gallery space isn’t huge but they always put on a nice exhibition - the current one is Night & Day: 1930s Fashion & Photographs (until 20 January 2019). The shop and cafe are also well worth a visit! We skipped the museum cafe on this occassion though and headed across the road to a recent discovery of mine B Street Deli. We had amazing cakes and hot chocolate, although I’ve also had a very good breakfast there in the past. 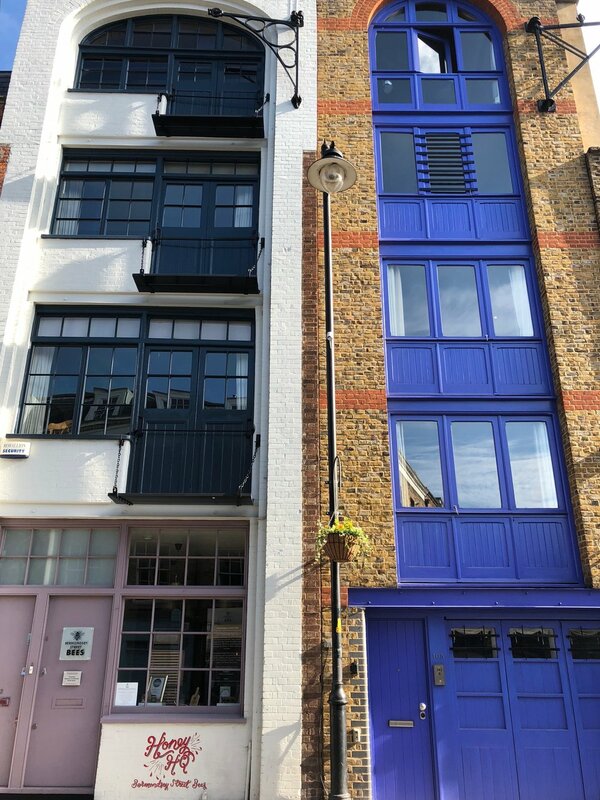 There are more interesting shops (and a lovely flower stall) as you continue down Bermondsey Street, but our final port of call was the White Cube gallery. 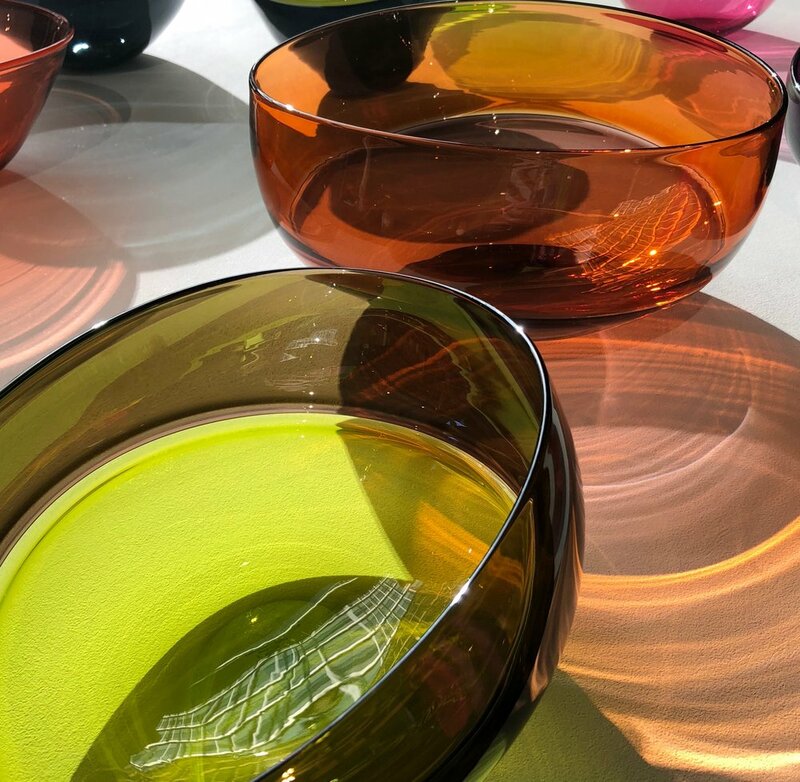 A wonderful modern gallery space with (you guessed it) a great shop. 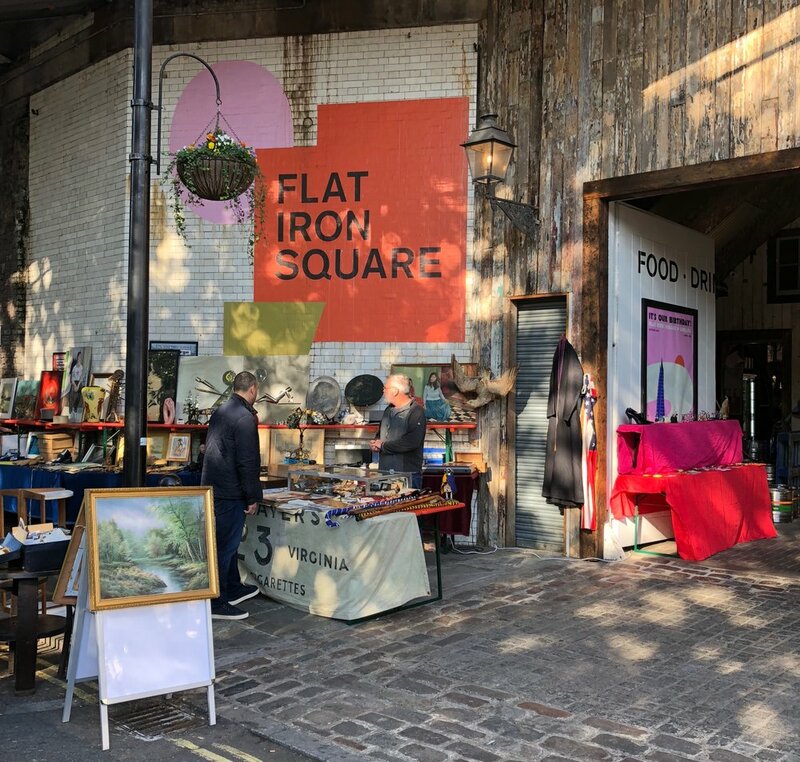 Flatiron Square is a relatively new addition to the London Bridge area, and when we visited on Saturday it was Flea Market day. 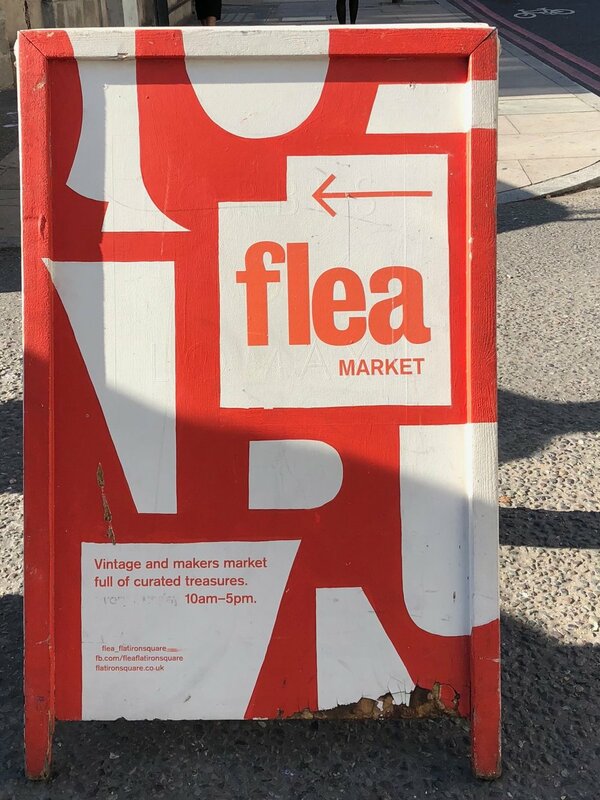 I can’t resist a good flea market and as a first time visitor I was impressed. 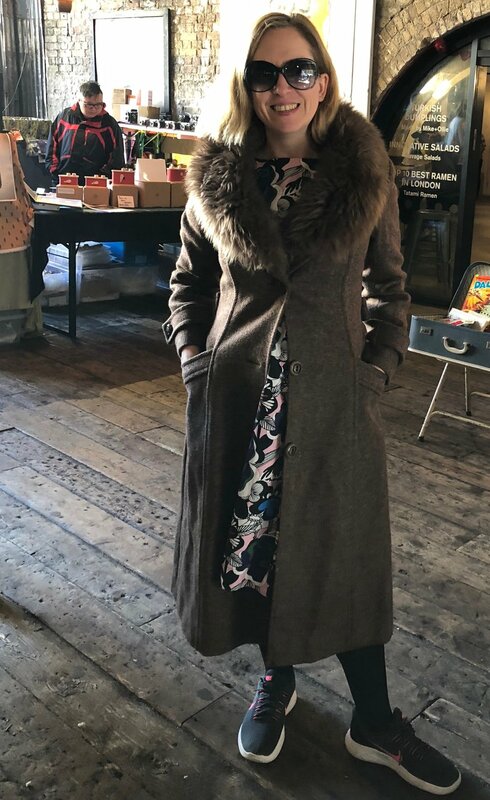 So much so in fact that I bought myself a vintage coat… I could easily have bought more but carrying a winter coat around for the rest of the day was enough! 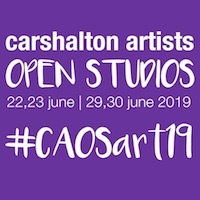 While we were there we also popped in to Menier Gallery where the British Plein Air Painters had an exhibition - including work by CAOS artist John Stillman so I had to go and say hello! This exhibition ended on Saturday but I’m sure there will be plenty more to come in what is a really lovely space. We then continued off down Southwark Street to Contemporary Applied Arts. CAA is a membership gallery representing a wonderful array of skilled applied artists. 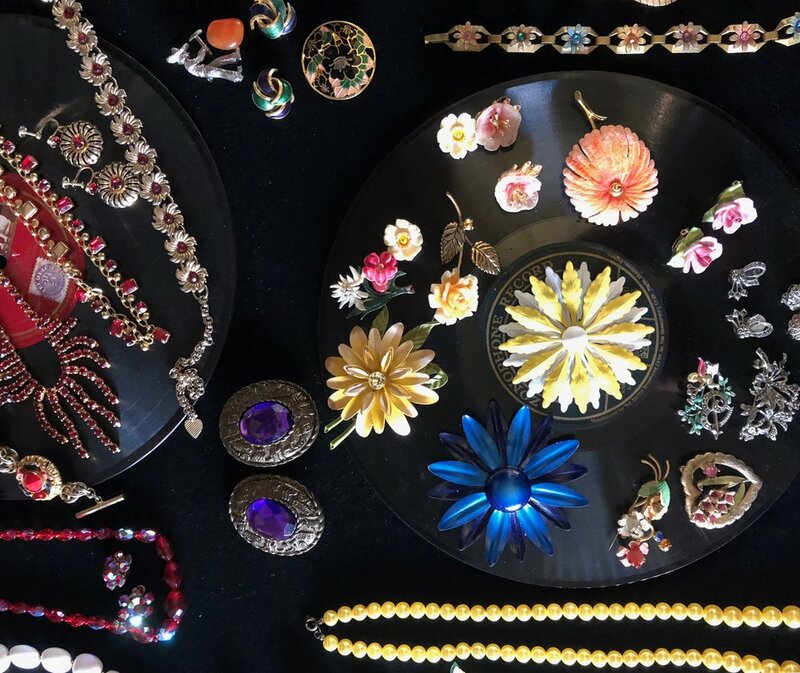 We wanted to buy pretty much everything in there (and if you have the cash you can!). We scooted around the back of Tate Modern (don’t worry we’ll be back there in a minute!) and headed in to the amazing Marcus Campbell Art Books. A treasure trove of books at bargain prices, I couldn’t resist picking up one about Bridget Riley for just £2. I’ll definitely be back. Then out onto the busier South Bank itself we discovered where the crowds were. We braved them though for the short walk down to OXO Tower. OXO Tower contains a rather smart restaurant and a number of interesting independents, my favourite of which is Snowden Flood. Snowden’s shop is on the first floor (on the corner as you approach from the London Bridge direction) and can be a little easy to miss but it’s a brilliant place if you want to do some stylish souvenier shopping (think London themed stuff but nothing remotely tacky in sight). 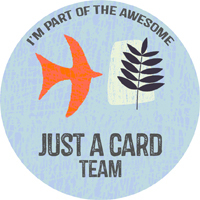 I did of course have to do my Just A Card duty (and then a bit… but I did have presents to buy). 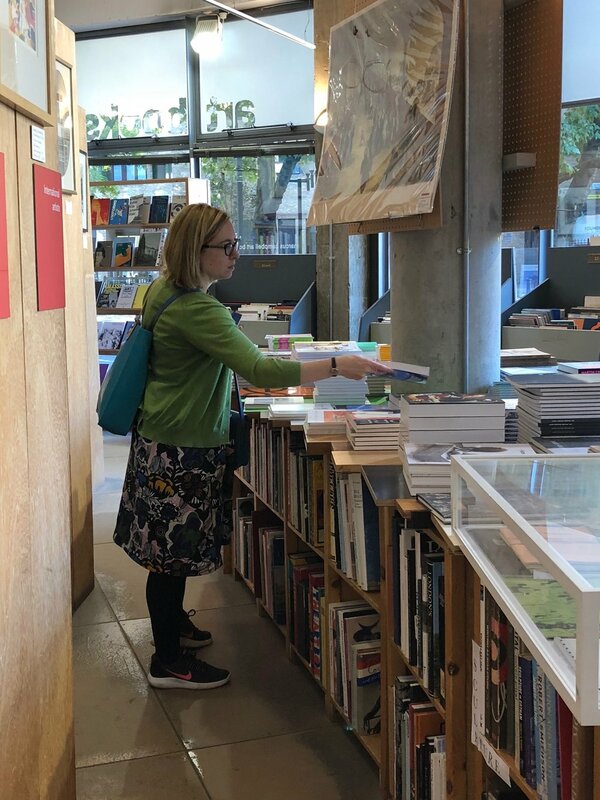 We turned back towards Tate Modern and popped into the rather nice Bankside Gallery - which displays a lovely array of watercolours. The shop here is particularly good for artists’ greetings cards and we had to restrain ourselves from buying all the Christmas cards (in October!). 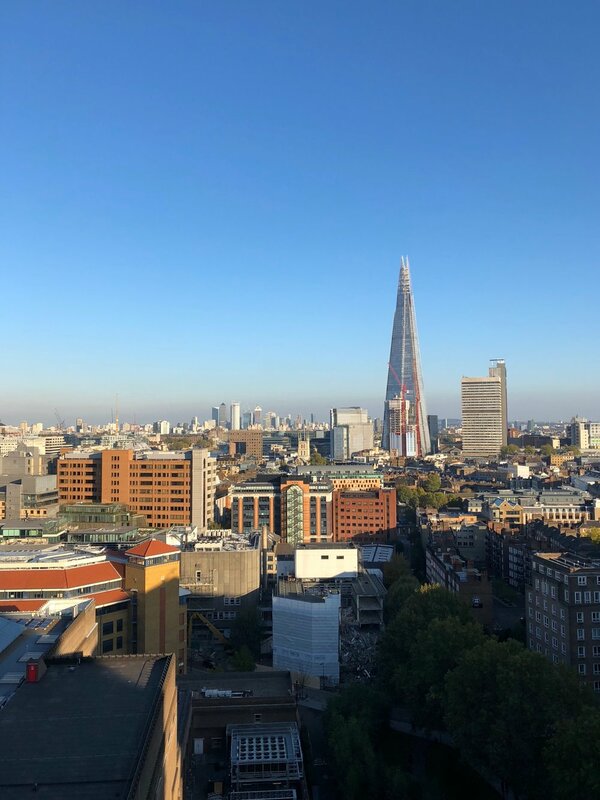 Lunch options near London Bridge are plentiful but unless you fancy Borough Market (very busy but well worth popping by - I can recomment the oysters…) or a pub you’re mostly looking at chain restaurants (but they’re all there so you’re spolit for choice). We headed to the Carluccios behind Tate Modern as it was quick and easy and had a decent selection for my vegetarian friend. 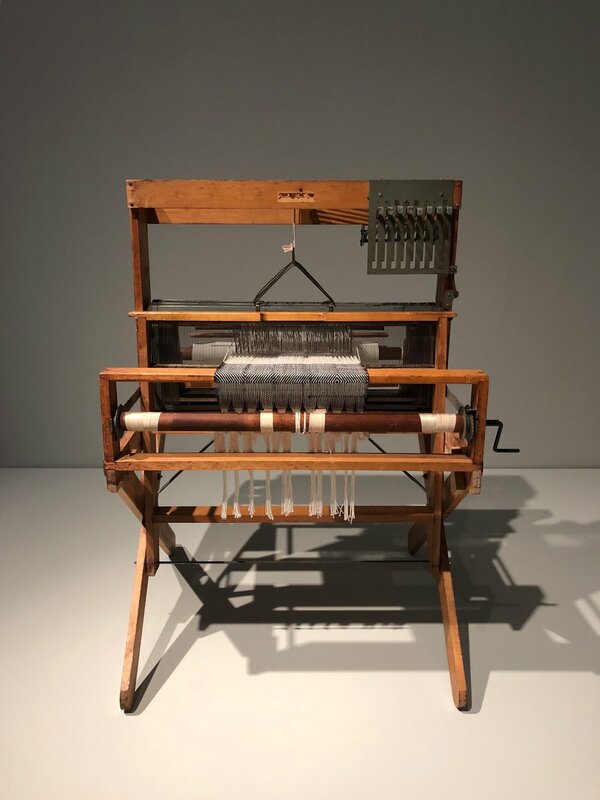 The other reason to visit Tate Modern was the Anni Albers exhibition (until 27 January 2019) which is a must see if you’re a textiles fan like me. We headed back along the river towards London Bridge Station at dusk - the main walking route is very popular so can get annoyingly busy (but compared to the days when I used to go running down there a Saturday afternoon stroll wasn’t too painful!). We walked back via Southwark Cathedral and Borough Market (but no oysters today as I was still stuffed after all that pasta!). Then I ran for my train, which miraculously, was on time! Thank you very much to Hotels.com for our day out!